Matt is a comedian, producer and podcaster based in Brooklyn, NY. He is the co-founder of the weekly Bomb Shelter Comedy Show. Culture Trip named the Bomb Shelter Comedy Show as one of the Best Free Comedy Shows to see in Manhattan. He is also the host of Trophy Dad Podcast that can be found on iTunes, Spotify and GooglePlay. Matt is based in NYC (Has performed at Broadway Comedy Club, Greenwich Village Comedy Club, Comic Strip, Caroline's on Broadway, Gotham Comedy Club, Eastville Comedy Club) and regularly performs on the road in Houston (The Secret Group), Austin (ColdTowne, Buzz Mill), Arlington (Improv), Chicago (Laugh Factory, 1st Ward Events), and others. He has also been featured in the 5th Borough Comedy Festival, Free Standup Festival and the BSC Festival. 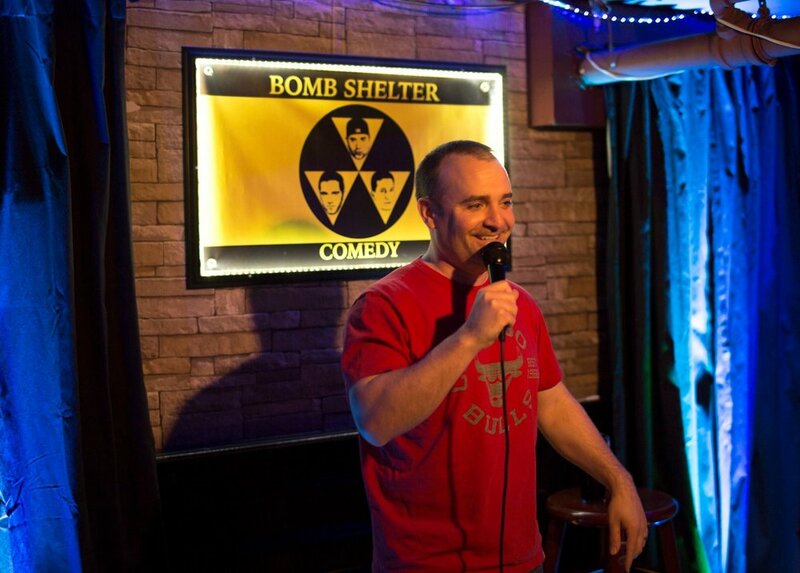 He can be seen every Thursday night at 8pm & every other Saturday night at 9pm on the Bomb Shelter Comedy Show at Gaf West Bar in Hell's Kitchen NYC.